My short story MIB Files: Introduction (Tales of the Men In Black) is doing well today! 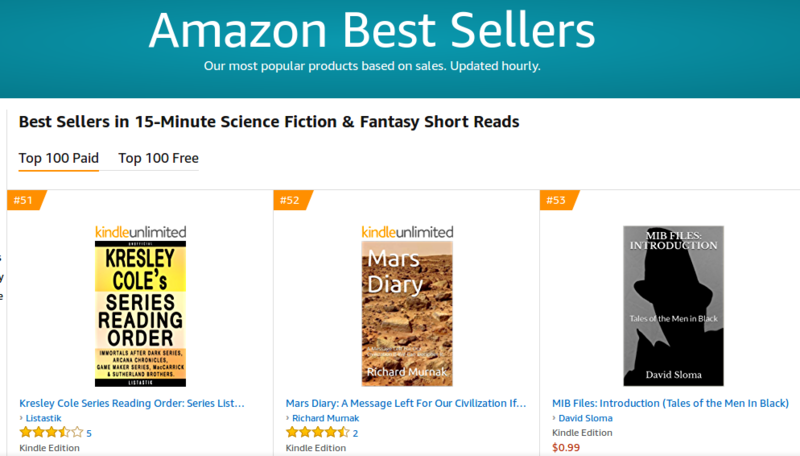 It’s in some good company, sitting at #53 on Amazon Best Sellers 15-Minute Science Fiction & Fantasy Short Reads. Not bad for a Friday the 13th!